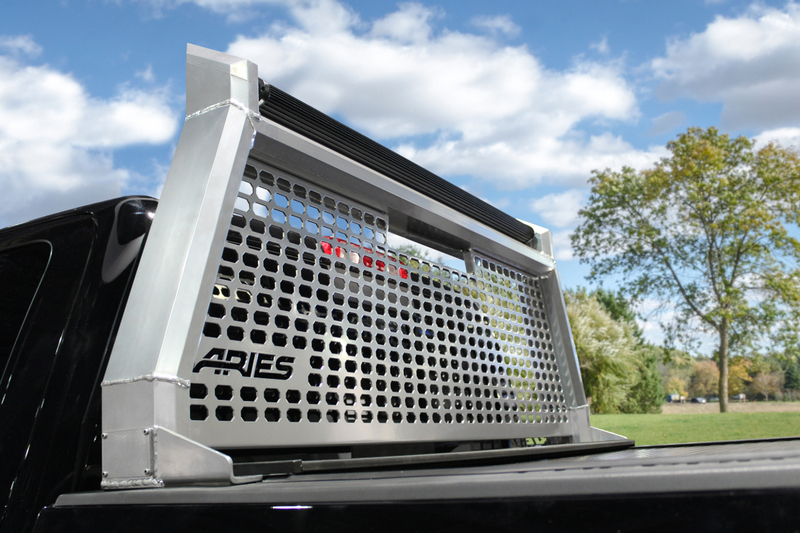 The ARIES AdvantEDGE™ headache rack is designed with today's pickup trucks in mind. 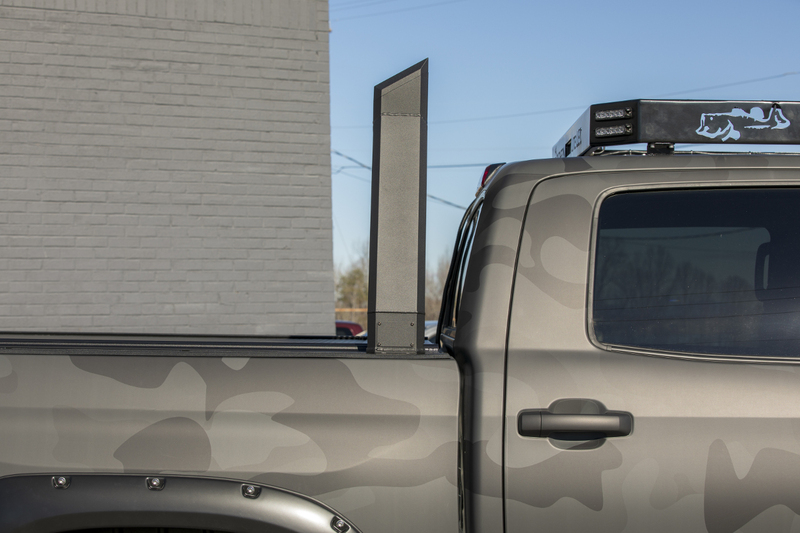 Unlike the more common round and square tube frames of most truck headache racks, it is built with a unique, eight-sided tube profile. 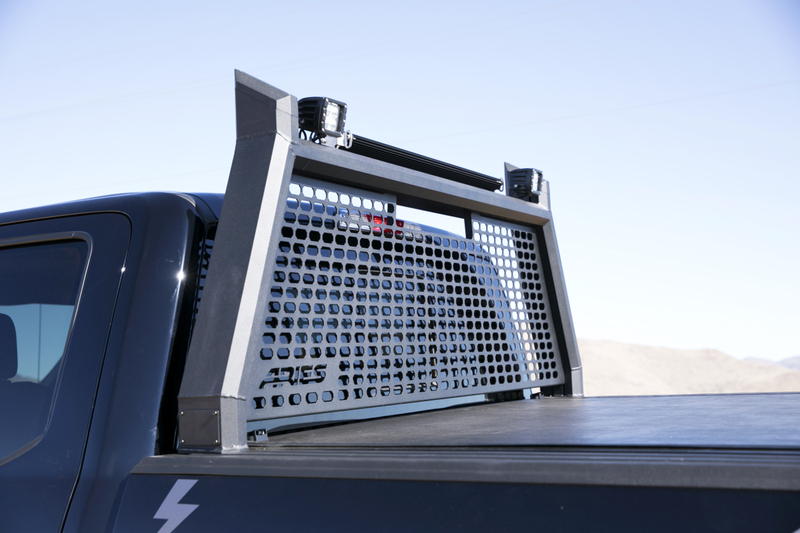 The AdvantEDGE™ truck headache rack features a lightweight, non-corrosive construction and ready customization options. It installs with no drilling required, using its patented, one-bolt stake pocket anchoring system. The AdvantEDGE™ headache rack uniquely balances style and functionality with its angular design and aggressive look. 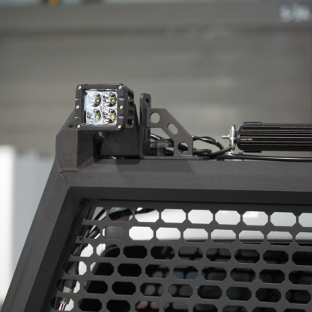 Its top track system provides a number of accessory and LED light mounting options. Installing the AdvantEDGE™ headache rack is fast, simple and secure. 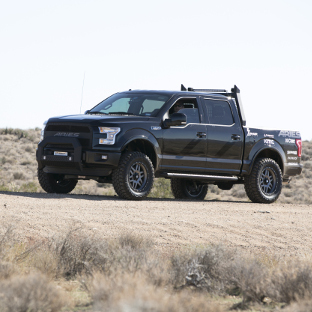 It features a patented system, utilizing the truck bed stake pockets for a solid anchor. Each side requires just one bolt to fully secure the rack. 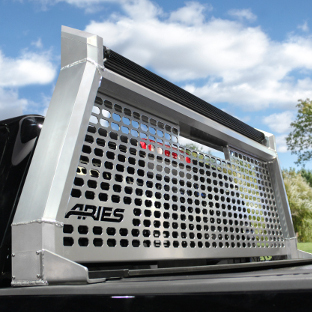 To truly set the AdvantEDGE™ headache rack apart, we construct it entirely from aluminum alloy. 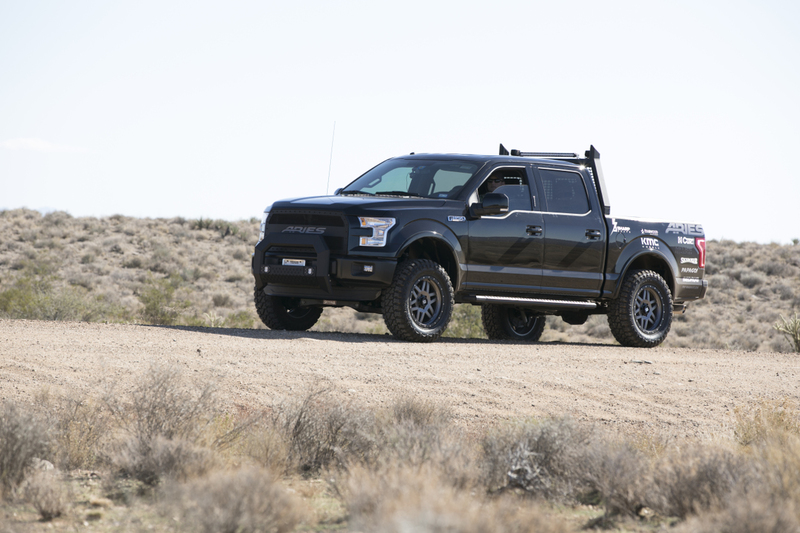 This supplies the headache rack with a rigid design, while remaining lightweight to complement the fuel-efficiency of today's pickup trucks. Aluminum also allows the AdvantEDGE™ headache rack to be completely impervious to moisture, rust and the outdoor elements. 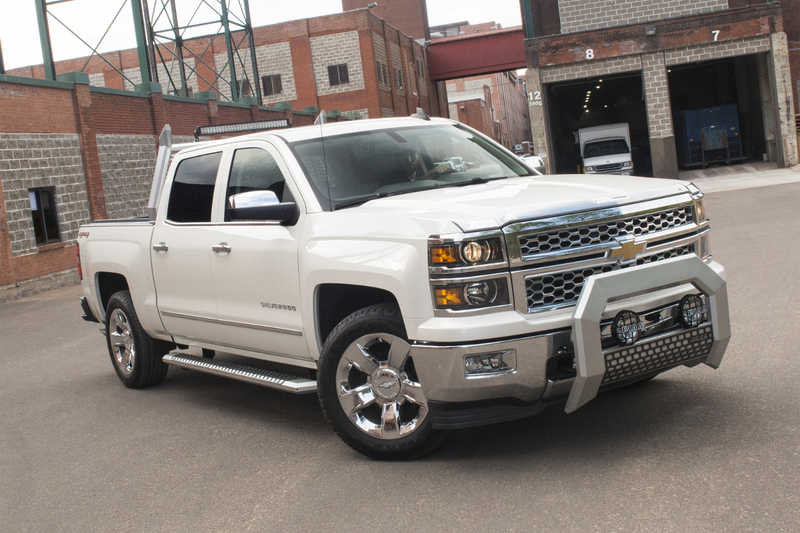 The extruded aluminum tubing measures 5-1/2" wide and is welded together to match the body lines of the truck cab. 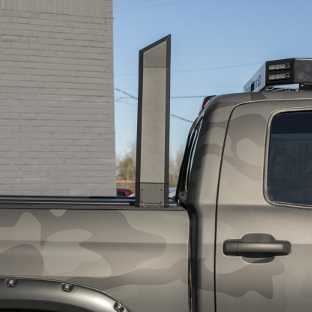 The AdvantEDGE™ truck headache rack comes in two finish options: carbide black powder coat and chrome powder coat. 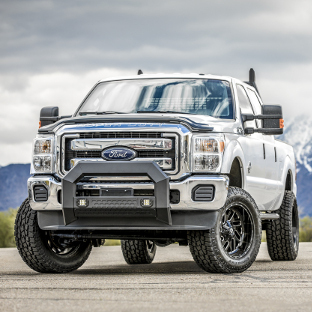 These polyester-based finishes maximize corrosion resistance and provide the right look for each and every truck application. The carbide black is a gritty, flat finish that is highly durable to resist rust, wear, chipping and scratches, while our chrome finish is designed to have the shine of chrome with the durability of a powder coat. It offers a polished appearance and is very resilient to wear and the elements. 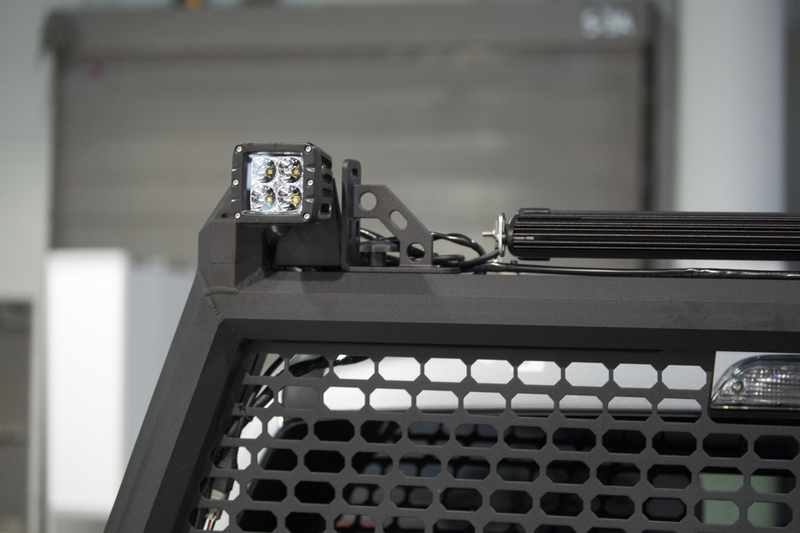 To open the door for maximum customization, each AdvantEDGE™ headache rack features a track mounting system for LED lights. 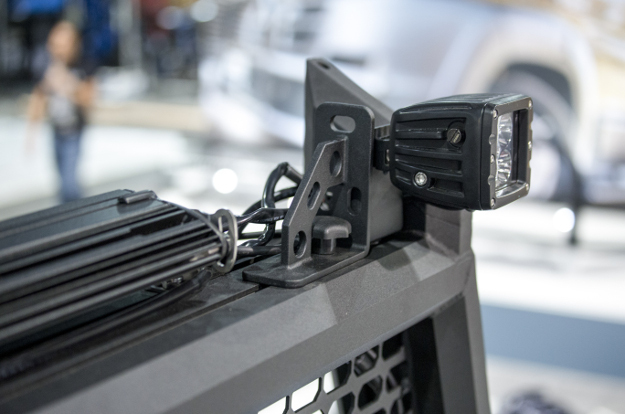 The upper cross-member has a dual-channel along its top edge, allowing any number of accessories to be attached, including LED light bars, work lights and tie-down anchors. Because the channel extends the full width of the headache rack, adjustment is simple and completely customizable to your preferences. 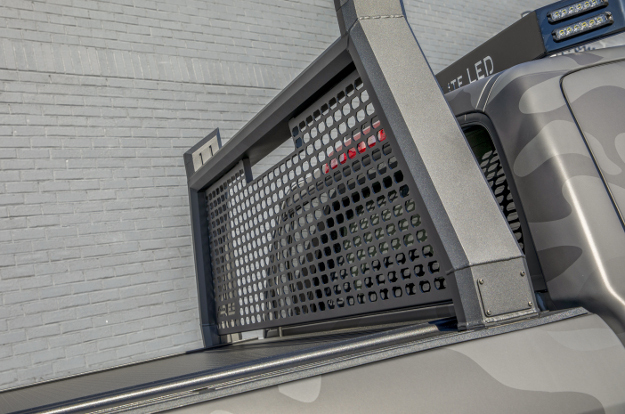 The AdvantEDGE™ truck headache rack is designed for easy, secure installation. 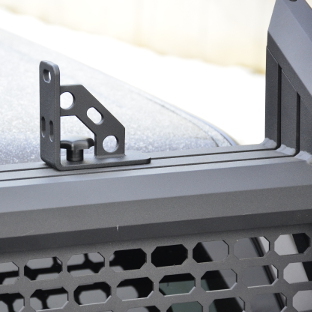 The patented stake pocket mounting system anchors into the walls of the truck bed and provides dependable strength. The stake pocket anchors are made for a vehicle-specific fit, and they mount into place with only one bolt needed on each side. 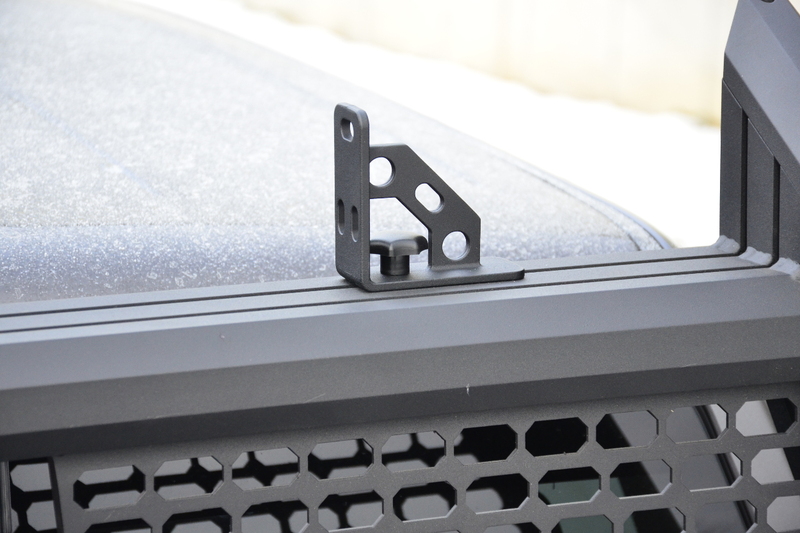 The headache rack attachment points also feature slotted holes for precise adjustment on each specific pickup truck. 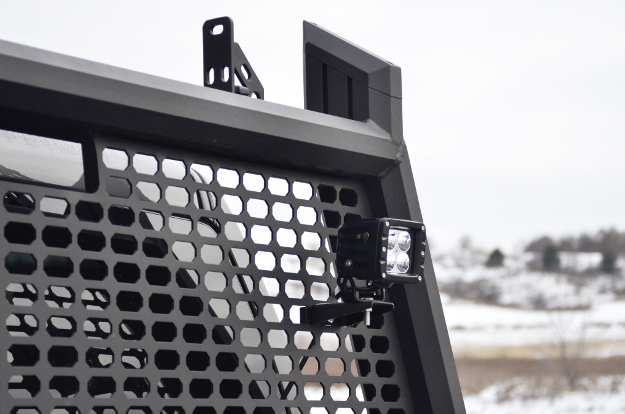 For a final finishing touch on the AdvantEDGE™ truck headache rack, the center section is comprised of a unique, punched octagonal grid. 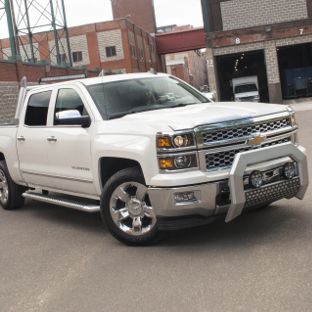 It is constructed from stamped aluminum and provides distinct style, while helping to protect the rear cab window. The octagonal gird features a cutout for the third brake light and can also accept mounting brackets for additional LED lights. 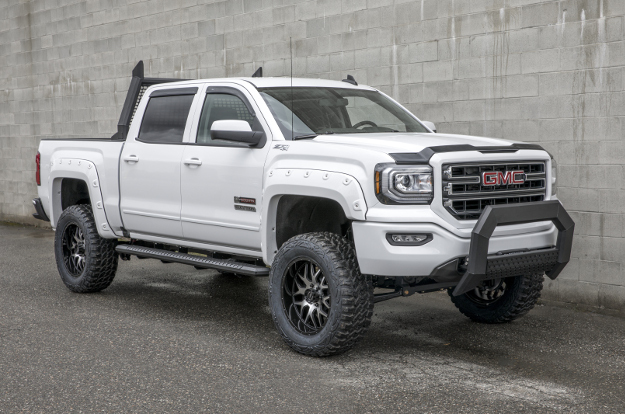 Elevate your truck to a whole new level of customization with the complete AdvantEDGE™ series. 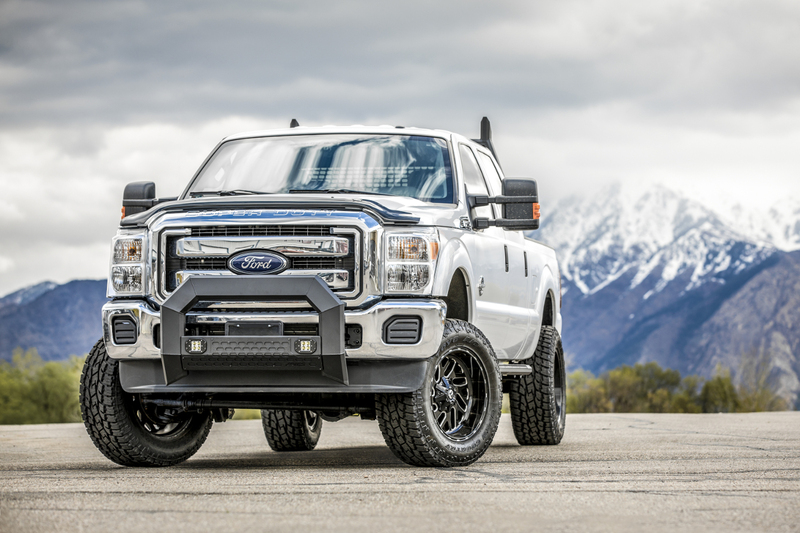 This set of truck accessories includes the AdvantEDGE™ headache rack, AdvantEDGE™ bull bar and AdvantEDGE™ side bars. 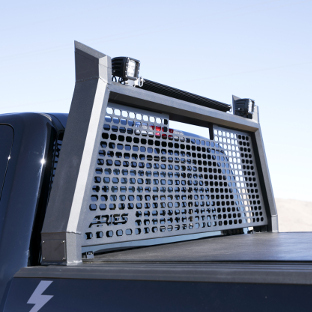 Like the AdvantEDGE™ headache rack, these other unique truck accessories feature an all-angles, all-aluminum construction in two finish options. They also offer additional customization opportunities.